News | Echelon, the best paint protection coating brand for automotives. Please be informed that we will be closed from April 27 - May 6 due to national holidays to celebrate the imperial succession. All the inquiries and orders placed during these days will be processed and replied back after May 7. 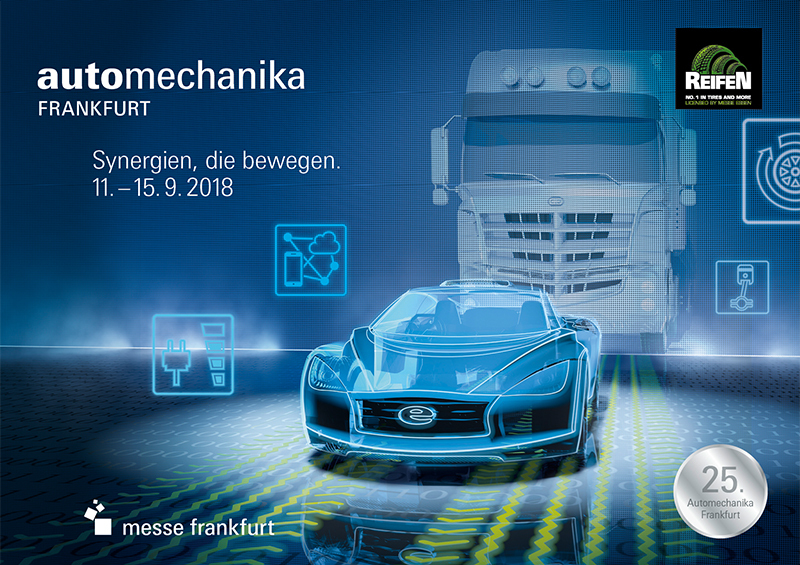 We will be exhibiting at the world largest trade show for automotive parts and related supplies “ Automechanika Frankfurt 2018”, which will be held from Sep 11 to 15 at Messe Frankfurt. For detailed information, please see our webpage on the exhibition’s official website. Please be informed that we will be closed from Aug 11 to 15 due to Obon holidays. All the inquiries and orders placed during these days will be processed and replied back after Aug 16. Please be informed that we will be closed from April 28 – 30 and May 3 - 6 due to national holidays. All the inquiries and orders placed during these days will be processed and replied back on May 1, 2 or after May 7. FE Trade Co., Ltd. will be exhibiting at Automechanika Dubai 2017. The show will be held in Dubai World Trade Centre, UAE from May 7 to May 9. We would be honored if you could spare some time to visit us and take the opportunity to see our high-quality Japan-made products. We look forward to meeting with you at the show! FE Trade Co., Ltd. exhibited at Automechanika Frankfurt 2016, which was held from Sep 13 to Sep 17 in Frankfurt, Germany. Thank you so much for visiting our booth! Thanks to all of your support and help, the show was a huge success with a large number of visitors. Please let us express our great gratitude for your support before and during the show. Please be informed that we will be closed on Aug 11 and Aug 13-16 due to Obon holidays. All the inquiries and orders placed during these days will be processed and replied back on Aug 12 or after Aug 17. Meet us at Equip Auto 2015 in Paris, France from 13th- 17th Oct! Our newly developed demo equipment for showing the performance of our upgraded/released products, CLAREED and Zen-Xero Smart will be exhibited at the show. Come and see our fine quality coating products, all made in Japan. We had an exhibit at SEMA SHOW 2013. 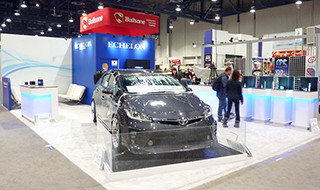 The show was held in Las Vegas from November 5th to 8th 2013. We thank all visitors who came to our booth. We also thank everyone involved with our participation in the show for their help. 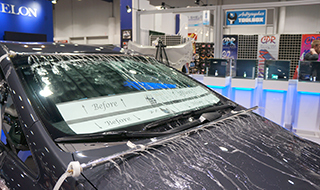 We will be exhibiting again at the largest automotive trade show in North America (Las Vegas) with NEW products. Zen-Xero will be released in Singapore in June, 2013. We will be exhibiting at the world’s leading trade show in Frankfurt, Germany. We have started our own website. Should have any questions about the products, etc, please contact us anytime. We will be exhibiting at the largest automotive trade show in North America (Las Vegas).Please click here to learn more about the SHOW. Katana can be buffed smoothly because this product has a unique consistency with high performance abrasive particles.